The simple answer to this is that activity in the dopamine reward centres makes us feel happy – problem solved. Receiving presents that we really wanted does that – doesn’t it? And the more expensive the present, the greater the appreciation? All we need to do is to make sure that we drop enough hints and we can ensure ourselves a happy Christmas. But does this match our experience? If you think back to Christmases past, which do you remember, and what is it about them that makes them memorable? What makes this happen turns out to be a lot more complicated than we might imagine and even throws up some research findings that, at first, are counter-intuitive. Indeed, it suggests that some of our intuitions about what might make us happy are wrong! When we receive things that we thought we really wanted, we are happy for less time than we anticipate (Wilson & Gilbert, 2008; Kurtz, 2016). This has been termed affective forecasting and studies have shown that we anticipate that the effects of both intensely negative and intensely positive events will last for longer than they do. The pleasure and novelty of a much-anticipated event soon wears off. Action: Remember to enjoy the anticipation of Christmas to the full! Surprise, uncertainty and curiosity prolong our happiness (Wilson, Centerbar, Kermer & Gilbert, 2005). Remember when Christmas was magical because we didn’t know whether Santa would bring the gifts that we wanted, and not knowing how he came down the chimney (or otherwise managed to get in to our house). And – we really didn’t want to know the answer. 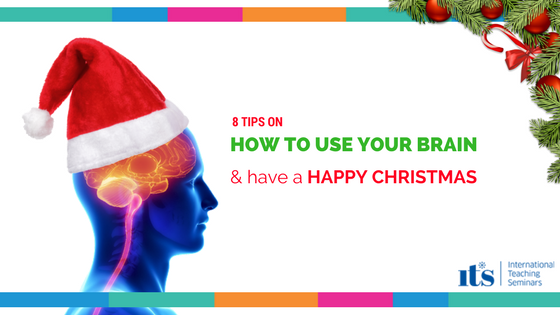 Research suggests that when we make sense of events, we lose the emotional intensity – so just enjoy the magic of Christmas and don’t try to explain why it works. Action: Consider how you can make Christmas more magical. Sometimes, on the run up to Christmas, we might find ourselves wishing that Christmas could be cancelled. But what would it really be like if there was no Christmas? Research by Koo, Algoe, Wilson & Gilbert (2008) has demonstrated that people are happier after they have reflected on the absence of an event than when imagining the same event. Action: If you find yourself wishing that Christmas could be cancelled – imagine this in full, technicolour detail to remind yourself of all the reasons why this would be a bad idea. For us our favourite Christmases, when we look back, involve acting out family pantomimes, playing games and cooking for the whole family as a family (Patricia), taking three generations, their partners and children to Key West for Christmas or being on massive extended meditation retreats with strangers, mince pies and roaring log fires (Ian). All of these involve some level of personal challenge which fits with the research which shows that we are happiest when we are challenged – not when we are bored (Waterman, 1993). Action: Find ways to add personal challenge to your Christmas for both yourself and your guests. Patricia: “I remember one Christmas when I couldn’t be with family and so spent part of the day helping to feed people who had nowhere to go and nothing to eat at Christmas. I remember this as one of the happiest Christmases I have had.” The research suggests that being with others makes us happy (Diener & Seligman, 2002) – especially when we are helping others. Action: Use some time over this Christmas period to do something actively for others. When we remember happy events, is it the intensity of the happiness we experience or the frequency of happiness that causes the memory to be remembered positively? Would we be better doing something really special at one point on Christmas day or are lots of little pleasures more effective in creating a happy memory of the day? Studies have compared how happy participants feel based on the intensity versus the frequency of happy moments in a day. What these have shown is that it is the frequency of our positive experiences which is a better predictor of our happiness than the intensity of the experience (Thomas & Diener, 2002). Action: Think about how you can have lots of little pleasures throughout your Christmas to create a really happy memory. Can you recall a fantastic holiday or even a great Christmas day from the past? What do you remember specifically from that day which made it so special? Research suggests that we remember events as having been really positive experiences if the last thing that happened was positive (Fredrickson & Kahneman, 1993). Action: Purposefully plan your Christmas get together so that there is a highlight at the end of the day. Action: Think less about what we might get for Christmas and focus more on what, how, when and to whom we might give. Diener, E. & Seligman, M. (2002) Very happy people. Psychological Science, 13, 81-84. Dunn, E., Aknin, L. & Norton, M. (2008) Spending Money on Others Promotes Happiness. Science, 319, 1687-1688. Fredrickson, B. & Kahneman, D. (1993) Duration neglect in retrospective evaluations of affective episodes. Journal of Personality and Social Psychology, 65, 45-55. Kurtz, J. (2016) Affective Forecasting: Teaching a Useful, Accessible, and Humbling Area of Research. Teaching of Psychology, 43, 80-85. Thomas, D. & Diener, E. (1990) Memory accuracy in the recall of emotions. Journal of Personality and Social Psychology, 59, 291-297. Waterman, A.S. (1993) Two conceptions of happiness: contrasts of personal expressiveness (Eudaimonia) and hedonic enjoyment. Journal of Personality and Social Psychology, 64, 678-691. Wilson, T. & Gilbert, D. (2008) Explaining Away: A Model of Affective Adaptation. Psychological Science, 3, 370-386. Food for thought, that I enjoyed reading…thank you. Will be sharing it!